If you’re relying on your contract tree crews to perform vegetation management auditing and safety auditing themselves … you’re probably wasting money. Unfortunately, without accountability, there isn’t a way to know if you’re getting what you’re paying for. That’s where we step in. 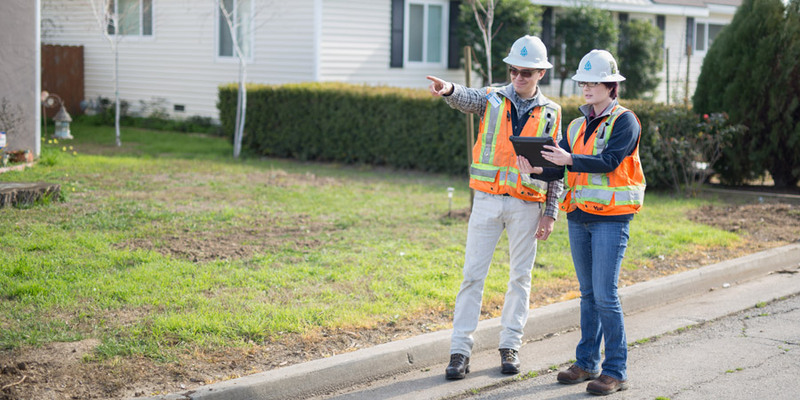 Our vegetation management post-auditing is the independent accountability your utility needs to make sure the job is done — and done right. Our team begins their vegetation management auditing as soon as the job is completed. ACRT Pacific arborists patrol the circuit again — inspecting each work unit and evaluating clearance, pruning cuts, hazards, cleanup, safety, herbicide application, and ensuring overall compliance with the work plan. This kind of detail is particularly important given the climate extremes and vegetation growth we face in California, as vegetation risks are high. We also offer comprehensive safety auditing to address quality clearance and compliance. It mitigates incidents and accidents, adhering to safety rules and practices of the utility. Don’t take the risk of leaving mistakes unattended or a job unfinished. Our utility foresters specialize in post-auditing for utility and maintenance crews so you’ll be sure nothing is left behind. Any work not completed to specification is resubmitted to the tree crews. Post-auditing is a simple technique with a profound effect and one you can’t afford to leave out of your UVM program. ACRT Pacific is a wholly-owned subsidiary of ACRT Services. ACRT Services offers expert, independent consulting solutions to utilities and associated organizations throughout the United States, including vegetation management consultation and training, customized safety courses, technology solutions, and utility metering services. ACRT Services is an employee-owned company focused on empowering employees, customers, and the communities we serve. Learn more about how we’ve helped our clients reduce costs and improve reliability. We understand the challenges of operating a vegetation management program in this region, and we’re ready to help with yours.